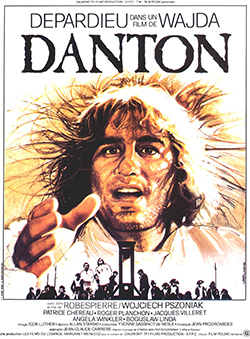 Based on a Polish play by Stanis?awa Przybyszewska, this 1982 French film explores the conflict and battle for power between Georges Danton (Gérard Depardieu) and Maximilien Robespierre (Wojciech Pszoniak), during the French Revolution. David Lantigua specializes in moral theology and Christian ethics, with further teaching and research interests in modern Catholic social doctrine, Latin American theology, and comparative religious ethics. His research examines contemporary discussions of law, war and peace, church and empire, religious violence, and human dignity in the context of the ethical and political thought of early modern Spanish theologians. To view Dr. Lantigua’s talk, click here. Kwame Anthony Appiah is one of America’s best-known philosophers. He is a sought-after speaker and a prolific writer whose credits include scholarly works, novels, short stories, and poetry, in addition to his popular New York Times Magazine column, The Ethicist. Prof. Appiah joined the NYU faculty in 2013, having previously held faculty appointments at Princeton, Harvard, Duke, Cornell, and Yale. To view Dr. Appiah’s talk, click here. A Boston College faculty member since 2003, Marina Berzins McCoy specializes in ancient philosophy and literature, Plato, and the Sophists. This lecture is based on her recent 2013 book of the same title. To view Dr. Berzins McCoy’s talk, click here. A distinguished German philosopher, Christof Rapp specializes in the history of philosophy. The author of numerous scholarly publications, he studies the relationship between the philosophy of antiquity and modern issues in areas such as ethics, ontology, and philosophy of mind. To view Dr. Rapp’s talk, click here. Brother Antoninus, a native of Australia, earned a Ph.D. in economics from the University of Oxford in 2011. He is a Dominican friar currently studying for the priesthood. In this talk, he will discuss the value of personal prayer over the pursuit of material gains as a critical means of fostering real, enduring reform of the social order. To view Br. Antoninus’ talk, click here. Hosted by the star and filmmaker André Robert Lee. To view Mr. Lee’s talk, click here. To view Dr. Reno’s talk, click here. A multidisciplinary scholar with expertise in theology, development studies, gender studies, and Latin American Studies, Prof. Vuola has held numerous positions at the University of Helsinki, along with visiting faculty appointments at Harvard and the Chicago Theological Seminary. Her research involves understanding the relationship between certain Judeo-Christian religious traditions and their followers’ identities and sense of control of their lives. To view Dr. Vuola’s talk, click here. Based in Massachusetts, the Tom Nutile Big Band is recognized as one of the region’s most accomplished and entertaining bands performing in the big band genre. In high demand for swing and ballroom dances, corporate functions, black-tie fundraisers, concerts, and more, the Tom Nutile Big Band is versatile, engaging, and fun. Their performance will be accompanied by discussion of the history and nature of jazz in the 20th century with a special focus on big band music. To view the Tom Nutile Big Band’s performance, click here.